Often the annual goal for the Foodservice Department is to increase revenue in their retail operations. However, are your cash sales profitable? Do they need to be? dk Foodservice Solutions, LLC can help you identify if your retail services are profitable or costing you money. 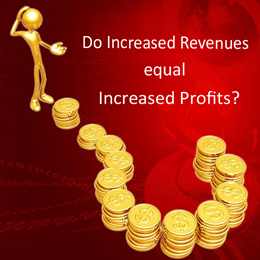 Increasing revenue is not same as adding profits. We can find opportunities to increase cash revenues with an eye to cost controls and profitability. Not all services are intended to generate profit for the facility. Most facilities knowingly subsidize their cafeteria for employees. Often Public Relations programs, such as congregate dining, are designed to enhance community goodwill as a marketing tool but are typically under-priced. Increasing profits through retail operations starts with analysis of the services offered, pricing rational and customer satisfaction. Identifying the philosophy of service and customer expectations will define the level of profit potential. dk Foodservice Solutions, LLC can provide analysis and critique your services. We can assist with the visual look and feel of the cafeteria and implementing of a marketing plan to bring in profitable business. Adding income generating services such as a coffee cart or satellite meal service to the local daycare center can be an attractive option. Prior to starting a new service, a thorough evaluation should be completed. We can help develop the business plan, including the return on investment analysis, to make an informed decision and optimize the potential revenues. Please contact us for information on how to address your interest in revenue enhancement.